The handicap parking is on the floor with the semis and RVs. It was a huge open space, which made it very easy to drive in. 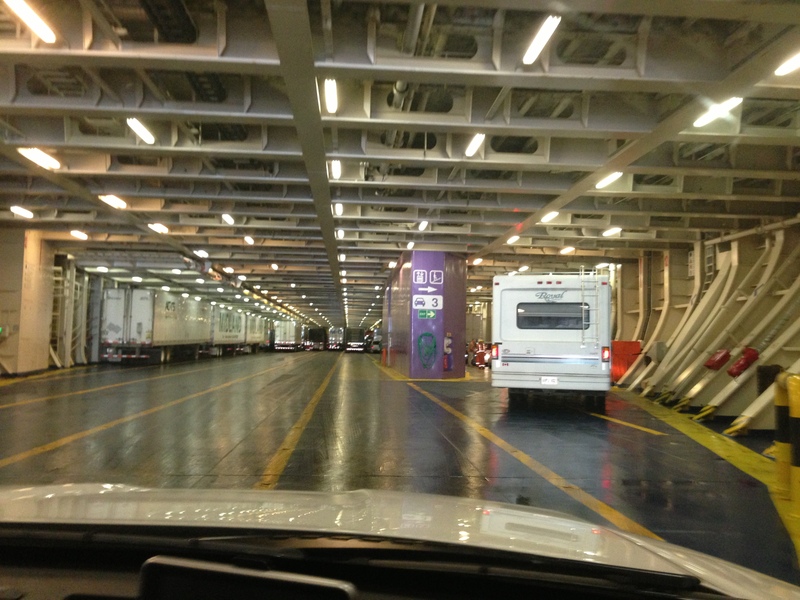 The ferry ride is approximately six hours. 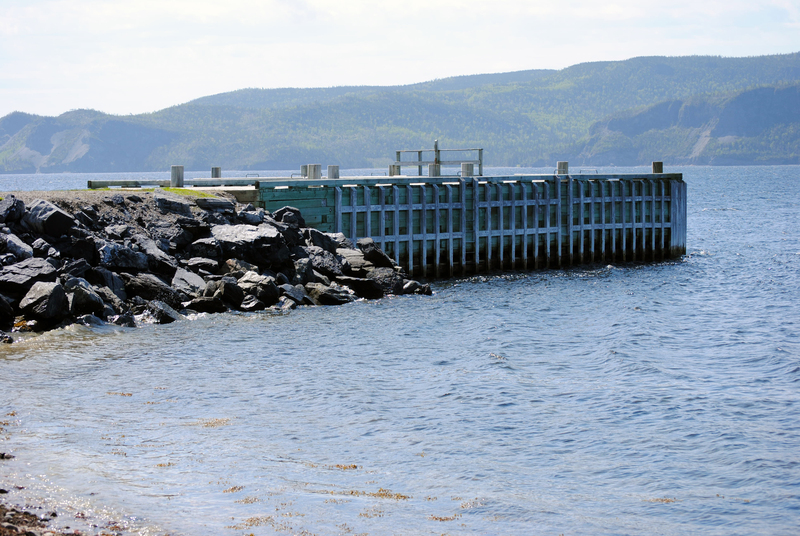 Newfoundland is really far from everything! You have the option of buying a regular ticket and sitting in a seat or getting a room. Because we were with grandma (I’m always using her for an excuse for me to take a nap LOL) we got a room, to ensure she would be comfortable. 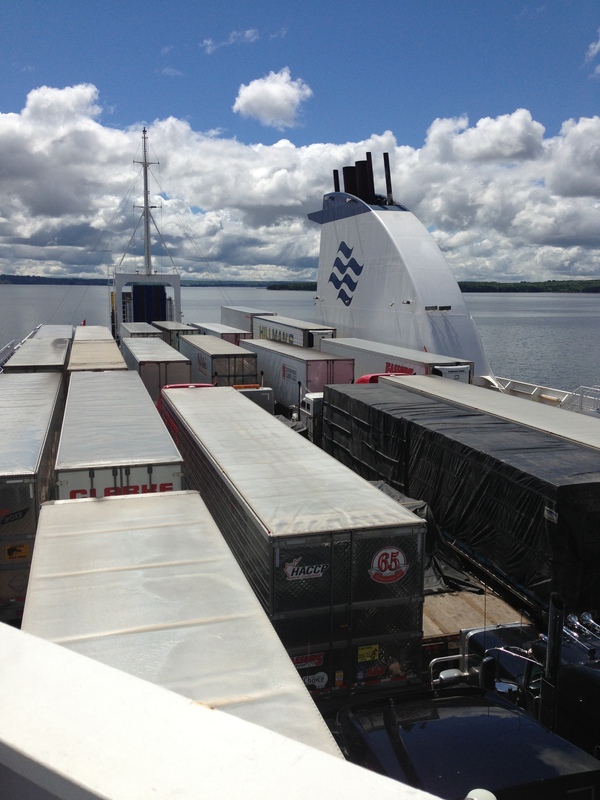 After we dropped out stuff off in the room we headed outside to check out the ferry. It was a huge ship with food, drinks (during limited hours) and lots of TVs and computers. 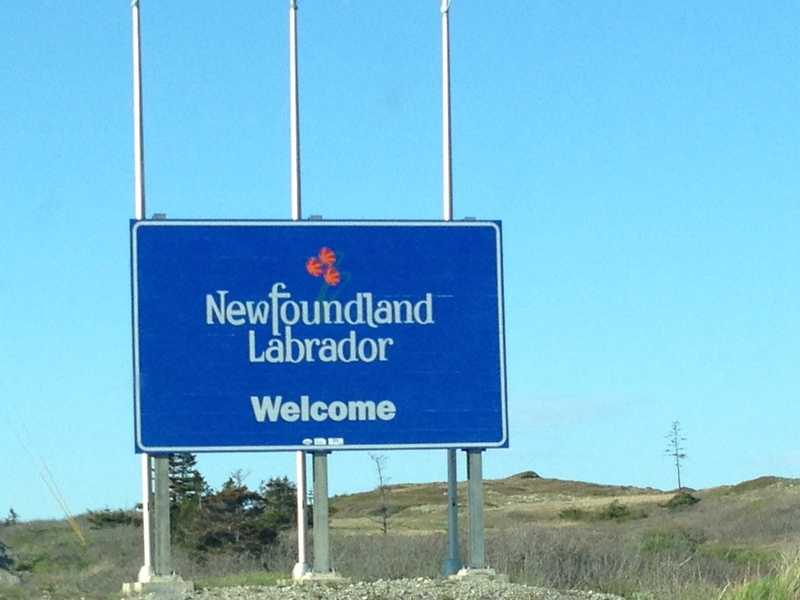 How most supplies get to Newfoundland. 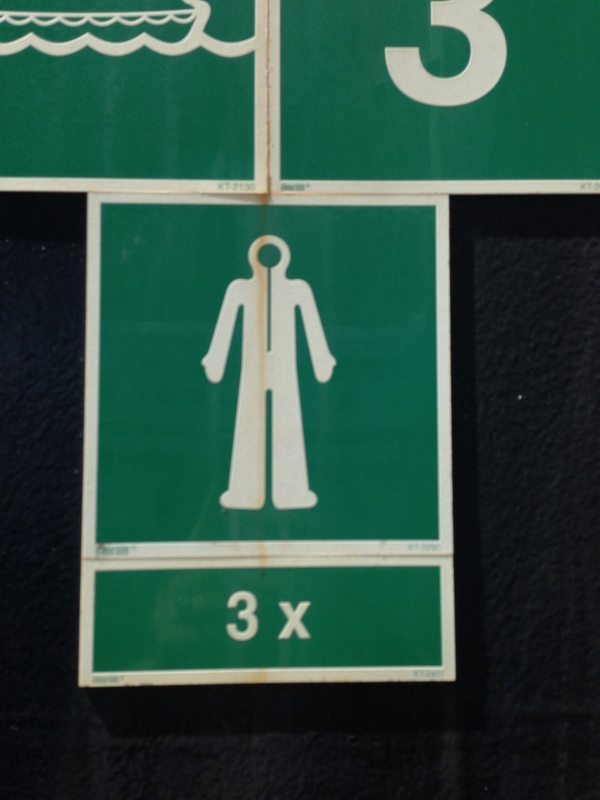 Three Gumby’s? Gumby is 3 times the size??? I have no idea what this sign means, but I found it really funny. I am so easily amused sometimes. The regular seats. Multiple TVs are in the room with audio jacks, and a nice little snack bar. Definitely the way to go if you don’t care about laying down. 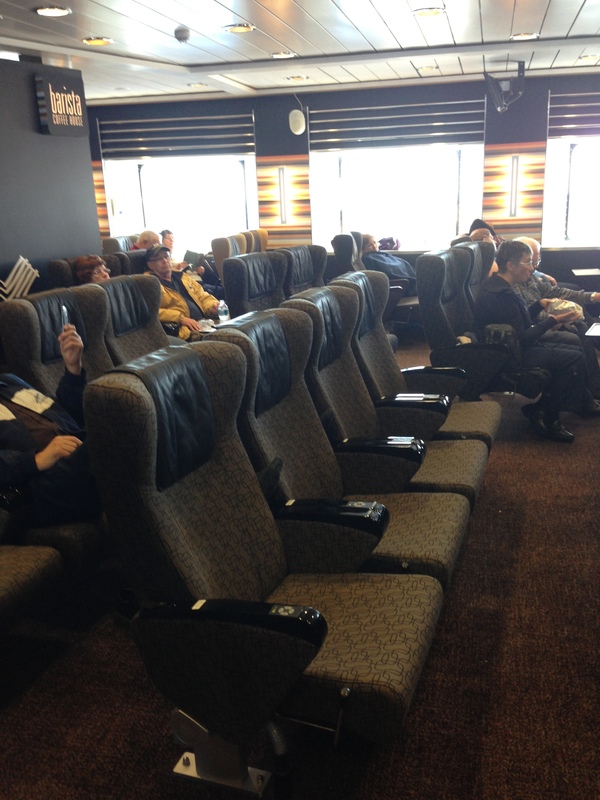 The seats were really comfy and it was a nice little area (and soooooo much cheaper!). 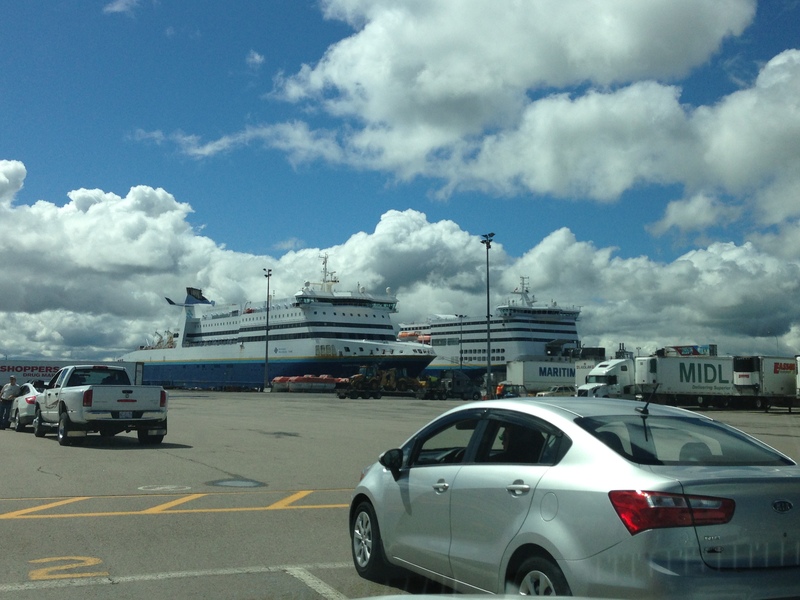 We drove off the ferry and started our nine hour trek to St Anthony, Newfoundland. We were heading there for the iceberg festival and iceberg/whale tour. 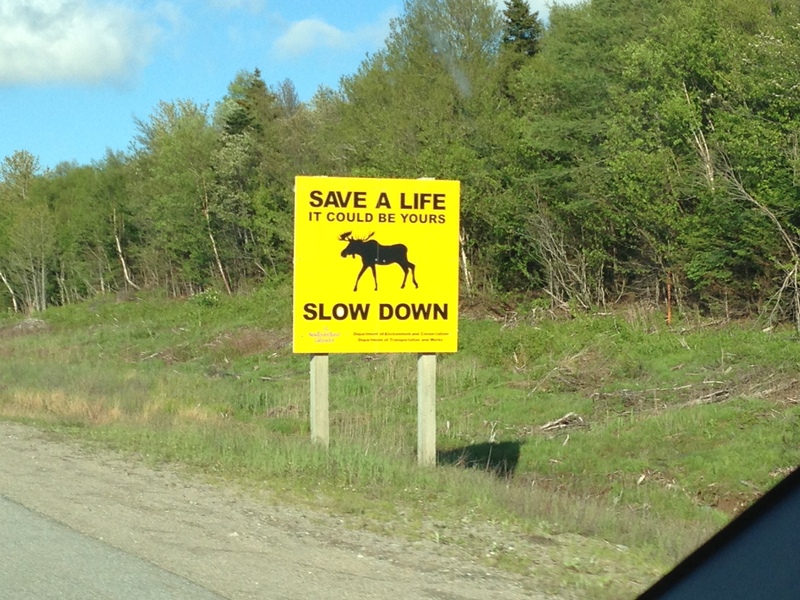 The drive up the northwest coast of Newfoundland is just breathtaking. Now, I am not a nature person. I do not hike. I will not wear floppy, sensible fishing hats (sorry Laura!). I haven’t been camping since I was old enough to say no to my mother. 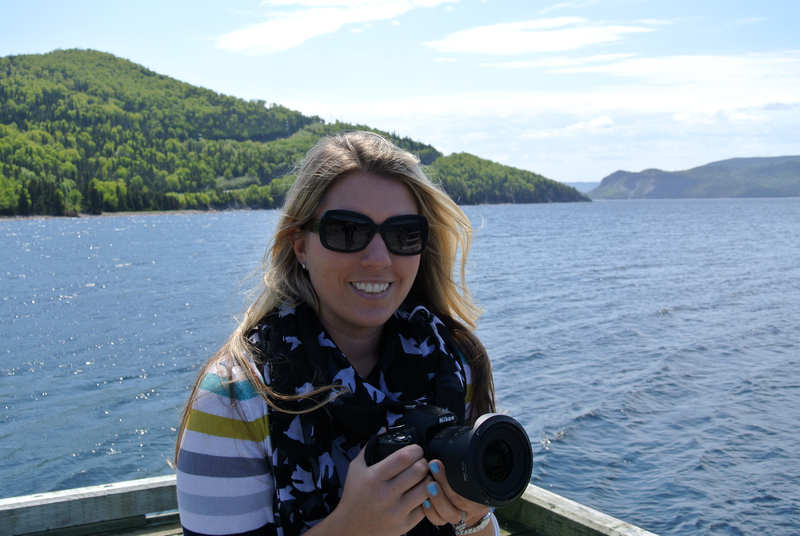 And yet, I fell in love with Newfoundland the second I laid my eyes on her. Love at first sight. My heart was full of joy and my eyes could not drink in the beauty as fast as I wanted to. 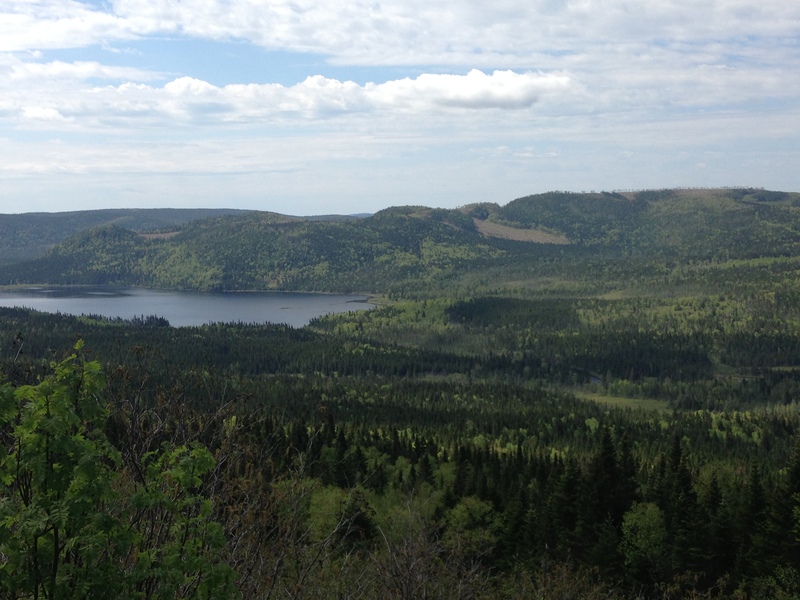 The untouched beauty of Newfoundland. 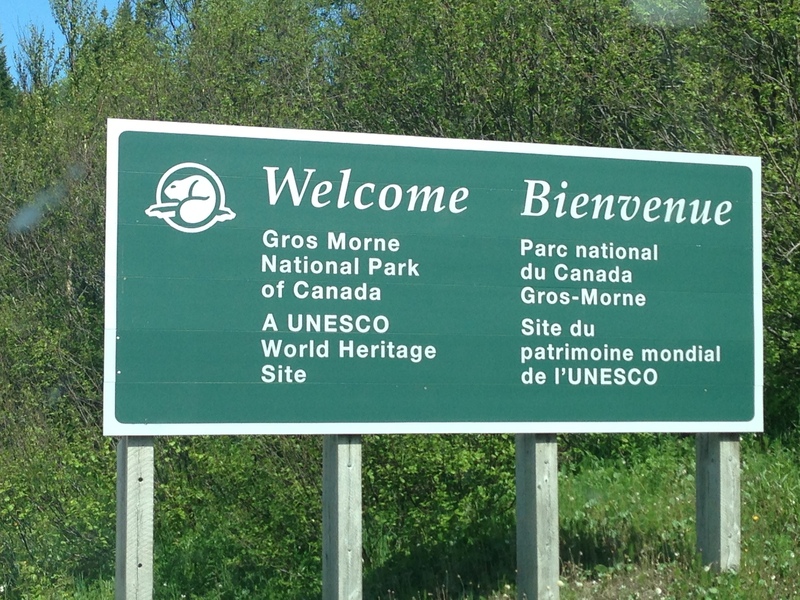 We drove a few miles and come across our first true sign of Canada. You definitely don’t see this in Florida. We wanted to make it to Deer Lake for the night. 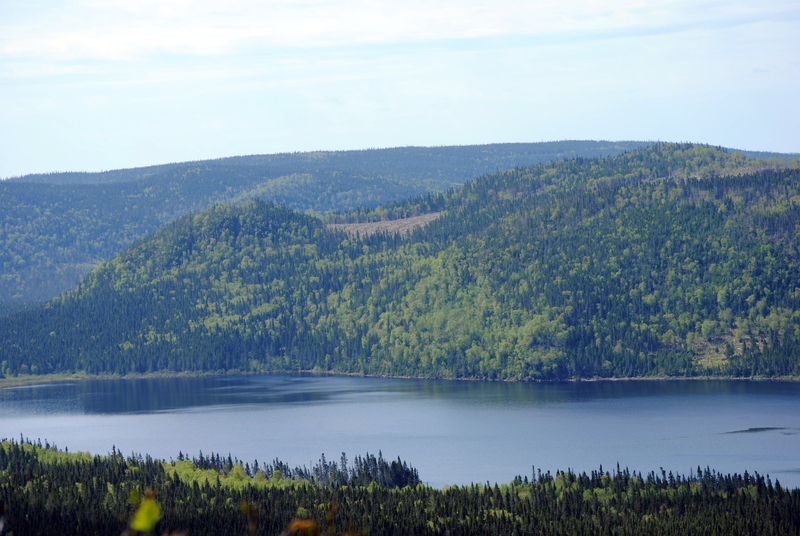 Deer Lake was one of the last places to stay before Gros Morne National Park. It was hard to stay on track with some many beautiful things to pull over and take a photo of! Such a cute little town! We made it to Deer Lake while the sun was still (technically) up. The sunset was pretty late while we were there. We checked in to the new Holiday Inn Express and to my delight….. THEY HAD A WATERSLIDE! 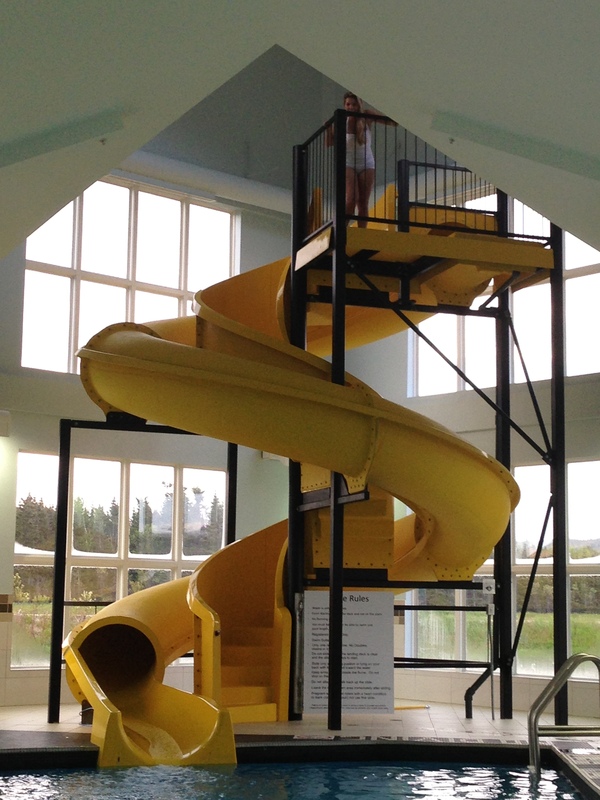 I’m nearly obsessed with waterslides and not many inanimate objects make me as happy in my heart. It’s one of the very few times I forget I’m a germaphobe. 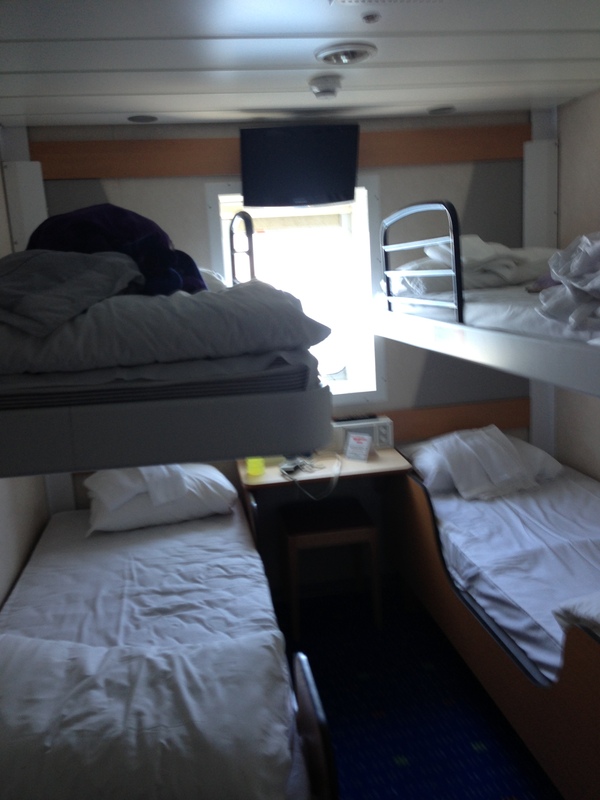 They actually had a family suite, which had a king bed, bunk beds, and a pull out sofa. It was really quite perfect for a family. 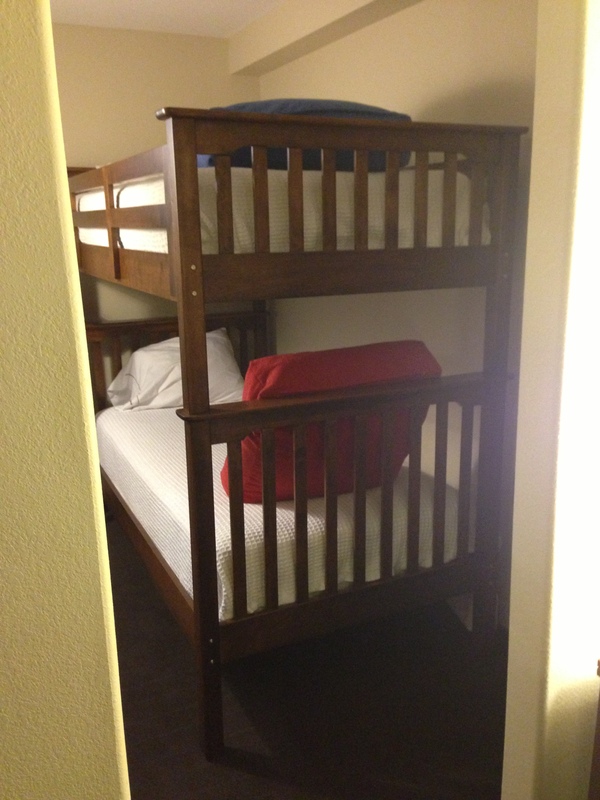 How cute are these bunk beds? We made our first trip to Pizza Delight for dinner. I must first say that Canada is not really known for its culinary cuisine. I mean, sure, they have great seafood, but that’s just luck of the location. As far as Canadian food, all I can really think of is poutine. Which I love. Love so much I’m having it for dinner on Tuesday. But no Canadian food really has the oomph that other local specialties have. A Pizza Delight is real, tangible proof of this. A first, we were pleasantly surprised. Although weird, the self serve bread grill was delicious. You choose any kind of bread, any kind of spread, and you grill it, just the way you want it. 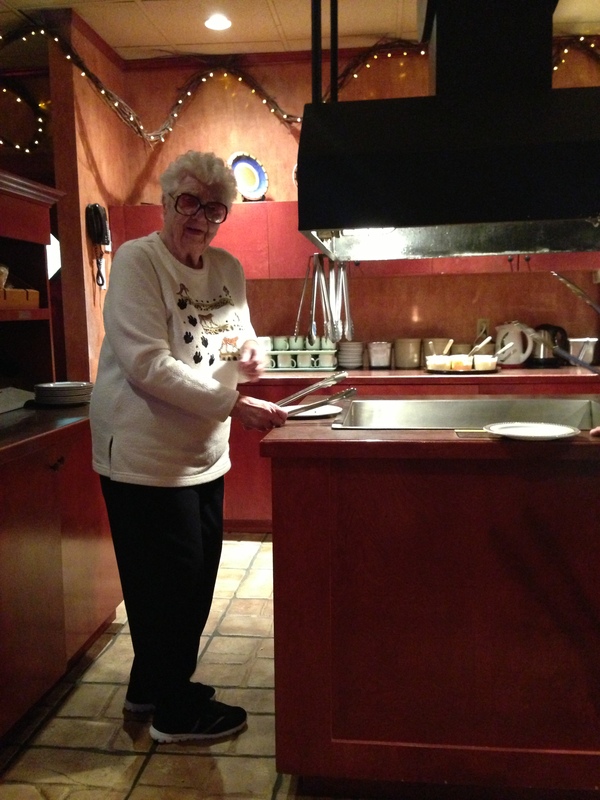 Grandma grilling her own bread. Then our dinner came. I got a lobster pizza because, hey, it’s the Maritimes. And it was terrible. And overcooked. But they saw how terrible it was (after I admitted defeat after a few bites) so at least I didn’t have to pay for it. We also tried their signature donair sauce. I’m not sure what it is, and neither was the waitress. It tasted sort of like vanilla frosting, but different. Looked like mayo, but the waitress was sure that was not one of the ingredients. 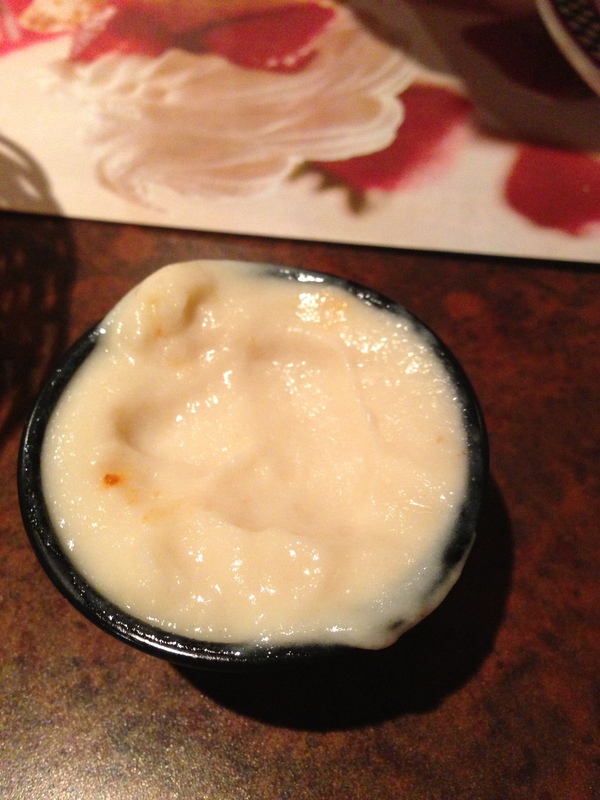 Donair sauce. Pizza Delight puts in on sandwiches and pizza. It’s terrible. 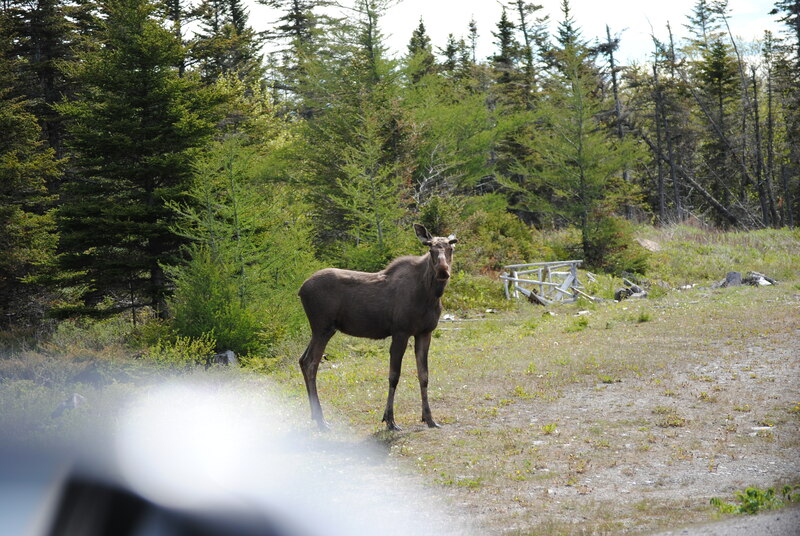 The next morning we started our long-anticipated drive thru Gros Morne National Park up to St Anthony. 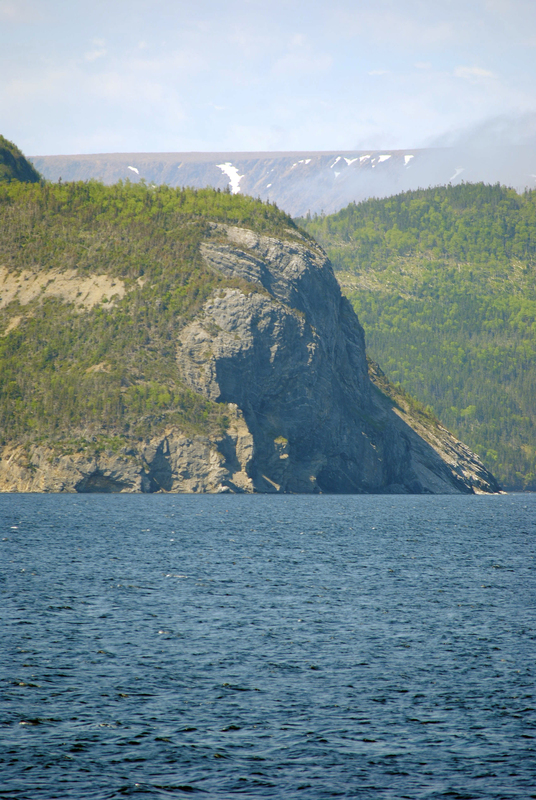 Gros Morne might be one of the last places painted by God and left that way. You can truly just stare. Anywhere. And not say a word (and I clearly like to talk ALOT). It’s the kind of place that makes you angry that everyone doesn’t recycle. The kind of place that makes you feel silly for caring about Burberry sunglasses and Tiffany jewelry. The kind of place where you literally want to hug a tree. Could I be any happier? And it wasn’t even warm! 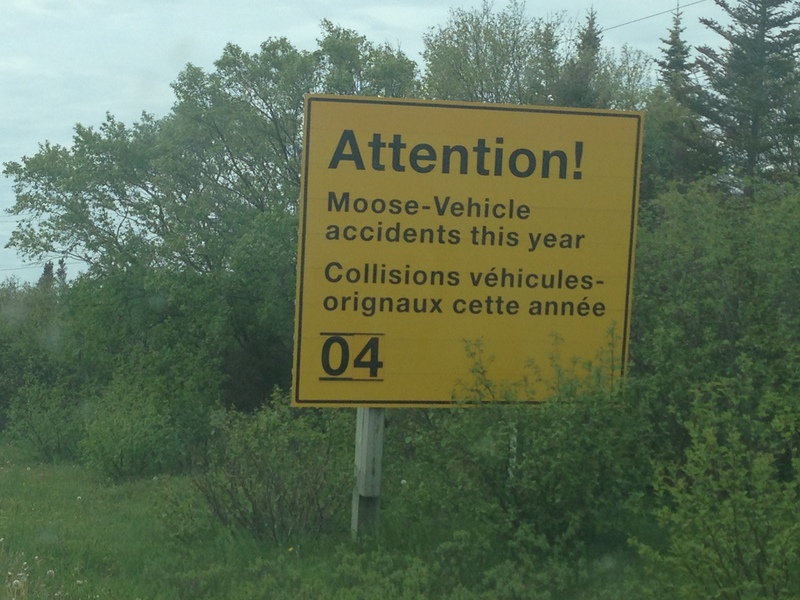 Every so often we have a reminder that we are still in Canada, and not some far away land. I supposed four isn’t too bad, considering it was June…. Every hour or so there is a small town. I’m talking one gas station, a few houses, and not much else. We were all so hungry, but there were no restaurants for hours! (Well, it seemed like hours.) When we finally saw a sign for ice cream, we just had to stop. It was in a campground and you could get tons of different flavors. It was just one little soft serve machine with tons of flavor syrups. 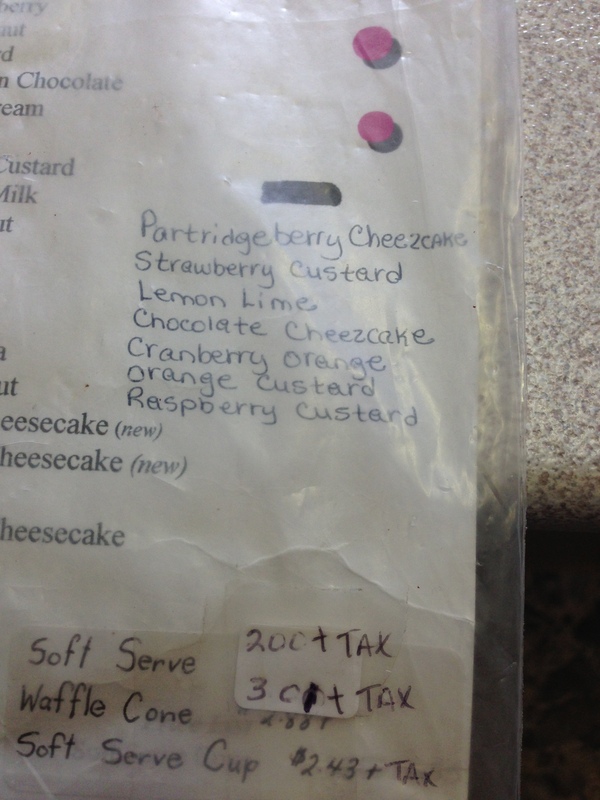 Part of the menu. We tried the partridge berry, which is very similar to the popular Swedish lingonberry. An hour or so later, we finally found a restaurant. Half seafood restaurant and half Pizza Delight. We (except, of course, the picky Husband) were very excited for seafood, and very weary of Pizza Delight. But the urge for seafood won, and we stopped for lunch. EVERYTHING we tired to order they were out of! I man, every single seafood item. So by default, we had Pizza Delight. Not only was it absolutely terrible, but the service was quite possibly the worst I have ever had in my life. And I am not exaggerating. We were there for almost two hours total. And no, it wasn’t busy. It wasn’t rush hour. The waitress was just really terrible at her job. We wasted so much time that I missed the wine tasting at the Iceberg festival in St Anthony. (Note to self: stay far away from Pizza Delight). What seemed like a year later, we finally started the final leg of our drive to St Anthony. About an hour later, we found a new friend! 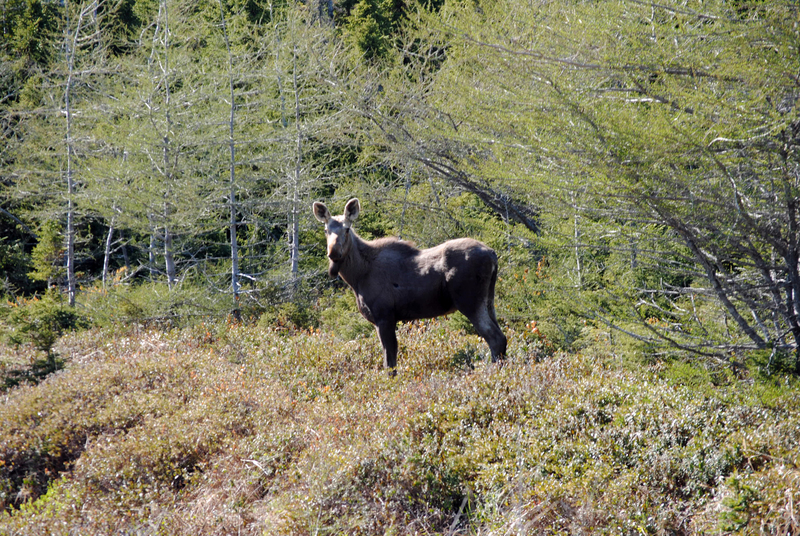 Our first moose!!!!! He was so big. I’m quite sure he could have crushed us all. Easily. As we got closer to St Anthony we noticed little gardens on the side of the road. Side of the road garden. It turns out that when the road was built, it helped create land that was protected from the arctic wind that came off the water, making it possible to garden. 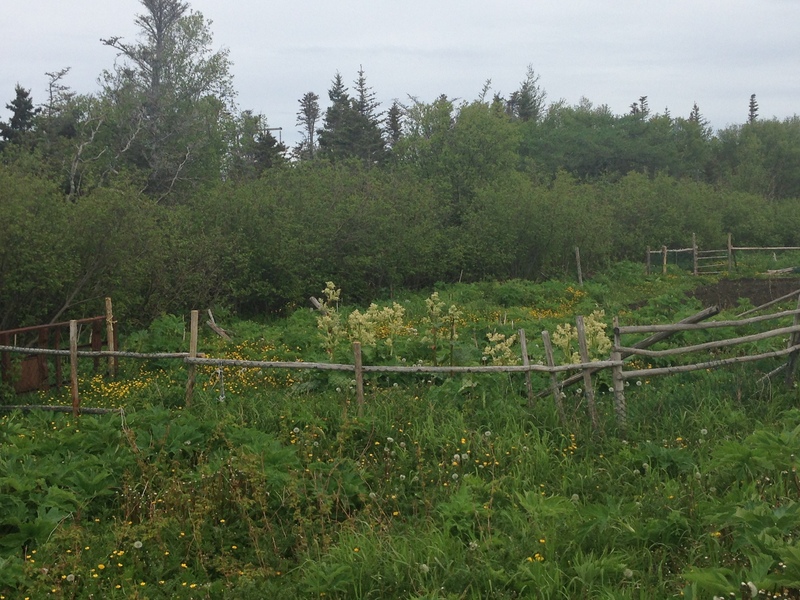 The people of Newfoundland who wanted a garden just picked a piece of land on the side of the road and planted a little garden. Because there are so few people in that area, everyone knows everyone and who owns which little garden. If you need a carrot and don’t have one, you borrow a neighbors, and they borrow a cabbage from you. Quaint, eh? 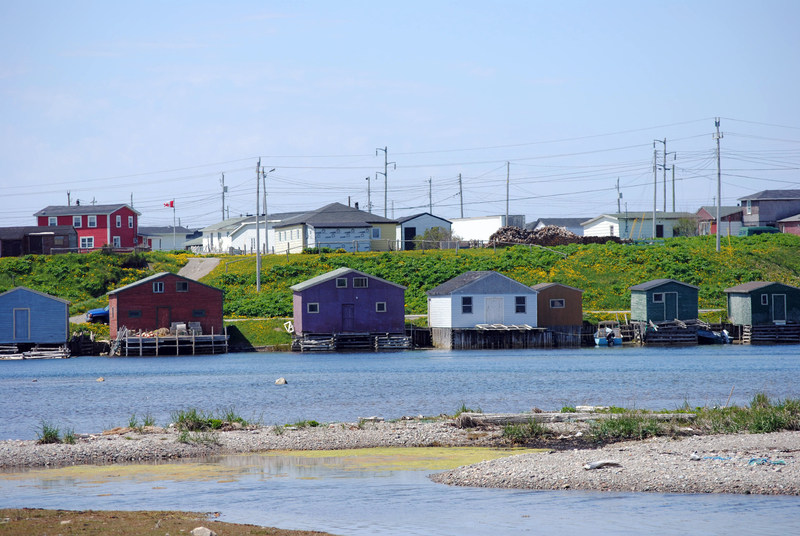 We learned when we arrived in St Anthony what a different, simpler world it is in Newfoundland.